James May pilots one of the best kept secrets of the Cold War in Russia and then heads to the US to fly the world's only surviving flying car. 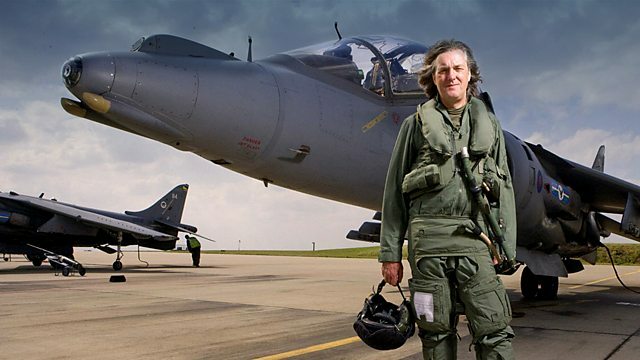 In the first of this series, James May travels the globe in search of his ultimate flying machine. He begins by heading into the frozen wastes of Russia to pilot one of the best-kept secrets of the Cold War. He then heads to the US to fly the world's only surviving flying car. After watching a man struggle with his tiny chopper in Japan, he gets back to the suburban gardens of Sussex to turn himself into a human rocket - all in pursuit of finding a better way to get from A to B. Finally, in California, James encounters his ultimate dream - a flying car capable of vertical takeoff, and one so simple that anyone can pilot it, but is the world ready for a flying car?